Dundee’s league season got off to a frustrating and disappointing start with a 2-1 defeat in Paisley against promoted St Mirren. Danny Mullen scored the Buddies’ goals, which came at either end of the match. Elton Ngwatala equalised for the Dee, who should have gone on to win but passed up some great chances, including a penalty. The Dark Blues brought in Jack Hamilton and Sofien Moussa, with Elliott Parish and Craig Wighton moving onto the bench. Lewis Spence retained his place in midfield with Glen Kamara having picked up injury in training. St Mirren were unchanged following last week’s thrashing of Dumbarton. Both teams fielded a 4-4-2 with a diamond in midfield. The game started at a frantic pace with both defences being put under early pressure. In the first few minutes St Mirren had two corners and a free kick a couple of yards outside the Dee box, all of which came to nothing. Jean Alasanne Mendy had the game’s first effort on target with a header from Jesse Curran’s cross that flew straight at home keeper Craig Samson. Sofien Moussa had a glimpse of goal from Paul McGowan’s pass but scuffed his shot wide. An early goal was on the cards and it came for the Buddies. Cammy Smith managed to hold off a couple of challenges on the edge of Dundee’s penalty area before playing the ball out wide. Paul McGinn flighted over an inviting cross for Danny MULLEN to score with a firm header from six yards. Eight minutes on the clock and it wasn’t looking good for the Dee. The home crowd and players were buzzing following the unfurling of the Championship flag and that early goal. But it was the Dark Blues who made the better response to the goal and they calmly dug themselves into the game looking for a quick equaliser. It took only four minutes. Moussa challenged for a cross 18 yards from goal and although he couldn’t win the ball he stopped the defence clearing. Elton NGWATALA pounced instantly on the loose ball, hitting a sweet, curling shot away from Samson and into the net off the far post. 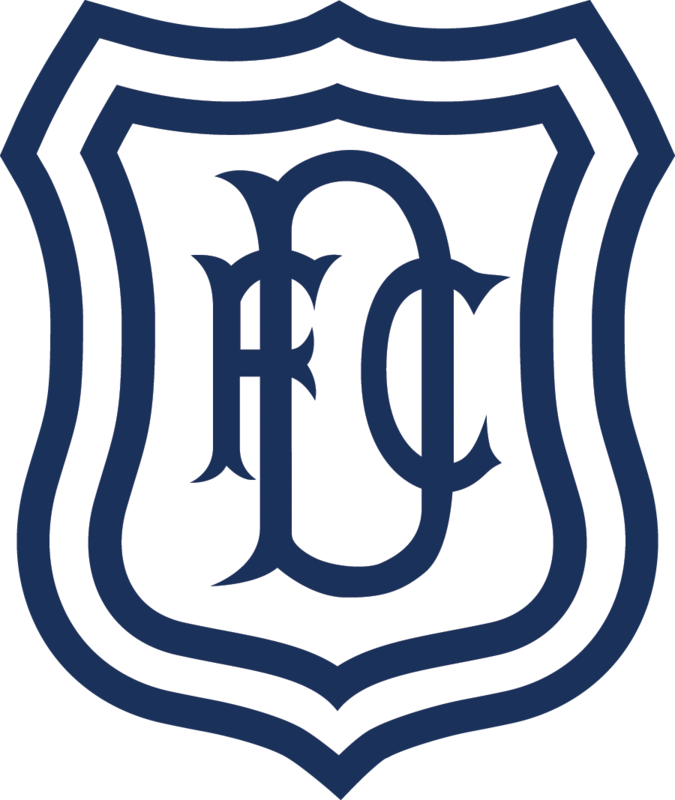 Dundee followed up the goal with their best spell of the first half, dominating possession and mounting a series of attacks, but without creating real danger. Matty Willock was next to have a serious effort on goal, but headed a tricky chance over the bar after good play on the left by Kyle Magennis. Moussa had a chance when St Mirren failed to deal with a Dee corner, but was off balance and missed the ball with his swipe. Both defences were guilty of scrappy defending, but neither attack was able to take advantage. Right at the end of the half there were close shaves at either end. Josh Meekings looping header from a free kick dropped just over the bar, and Jack Hamilton had to push Stephen McGinn’s 18 yard shot round the post. Dundee opened the second half by storming at their hosts and should have settled the game long before the end. Kharl Madianga’s determined run into the penalty area opened up the home efence, only for Mendy to misskick right in front of goal. A minute later Jesse Curran met a pass from Paul McGowan with a volleyed cross. Moussa and Ngwawtala flung themselves at the ball from close in but amazingly the ball evaded both and St Mirren escaped. Great play by Steven Caulker bringing the ball out of defence gave Mendy the chance to cut inside and shoot over the bar when he should probably have tried to find Moussa. Dundee were pinning St Mirren back at this point and the Buddies were struggling all over the park. After 57 minutes St Mirren’s central defence and Samson misjudged a through ball, everyone leaving it to the others. The keeper keft his goal too late and Mendy reached the ball first. He rounded Samson only for the goalie to trip him before he could roll the ball into the empty net. Referee Mr Muir decided he was making an honest attempt to take the ball and booked Samson after awarding the inevitable penalty. Sofien Moussa took the spot kick, trying to send the keeper the wrong way rather than going for power. Samson guessed right and went left to save. A few minutes later Samson had to save again, beating away Mendy’s close range shot after his defence had failed to clear. The penalty miss seemed to give St Mirren more hope and they started to attack more, but without creating any real chances. 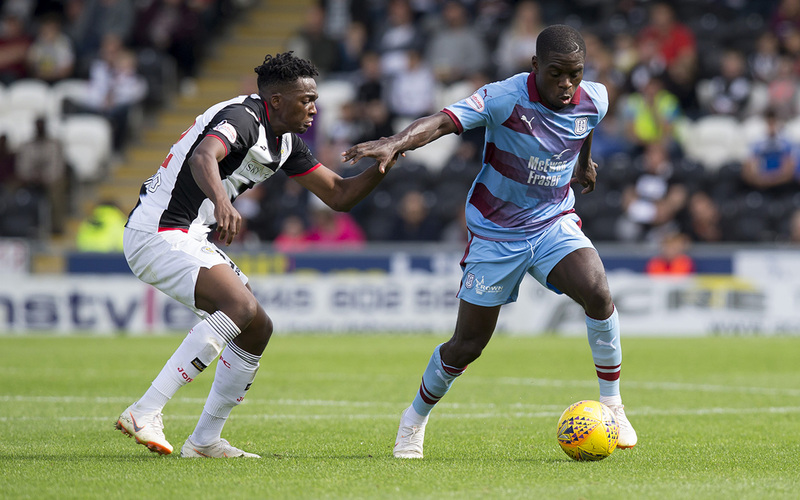 Dundee were more comfortable in possession than they had been in the first half, but the occasional careless pass created unnecessary problems, and it was from these mistakes that St Mirren looked most dangerous. Samson had another scare when he again hesitated to come out for a long ball. This time Moussa took the ball round him but his touch was heavy and he couldn’t keep the ball in play. With seven minutes left Dundee should have been looking to go on and take all three point. Instead they conceded a dreadful, totally avoidable goal. Hamilton took a goal kick to Cammy Kerr, who returned it. Substitute Ryan Flynn closed him down and Hamilton tried, and failed, to drag the ball away from him. Flynn managed to collect the ball and set up MULLEN for a simple finish. This time the Dee’s response failed to unsettle St Mirren. They couldn’t get through the home defence and the Buddies kept their heads to hold out for a win that had seemed unlikely earlier in the second half. This defeat was reminiscent of a few games last season when Dundee played well but missed a succession of chances before being floored by a sucker punch. The midfield looked creative and comfortable for long spells, and the defence was solid in the second half until the late horror show. The Dark Blues should really have taken something from this match, probably a win, but a draw at least. The fact that they set off home with nothing is down to mistakes at either end of the park. Unused subs: Rogers (gk), Heaton, Cooke, King. Booked: Coulson (foul on Mendy, Samson (foul on Mendy), Smith (foul on Kerr). Unused subs: Parish (gk), Ralph, Kusunga, Nabi, Henvey, Moore.